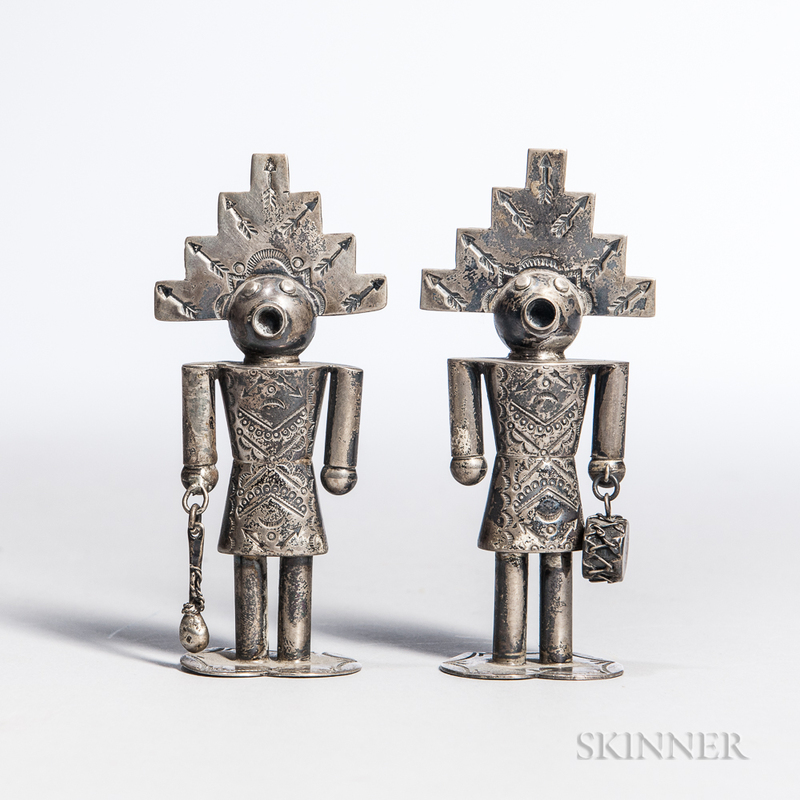 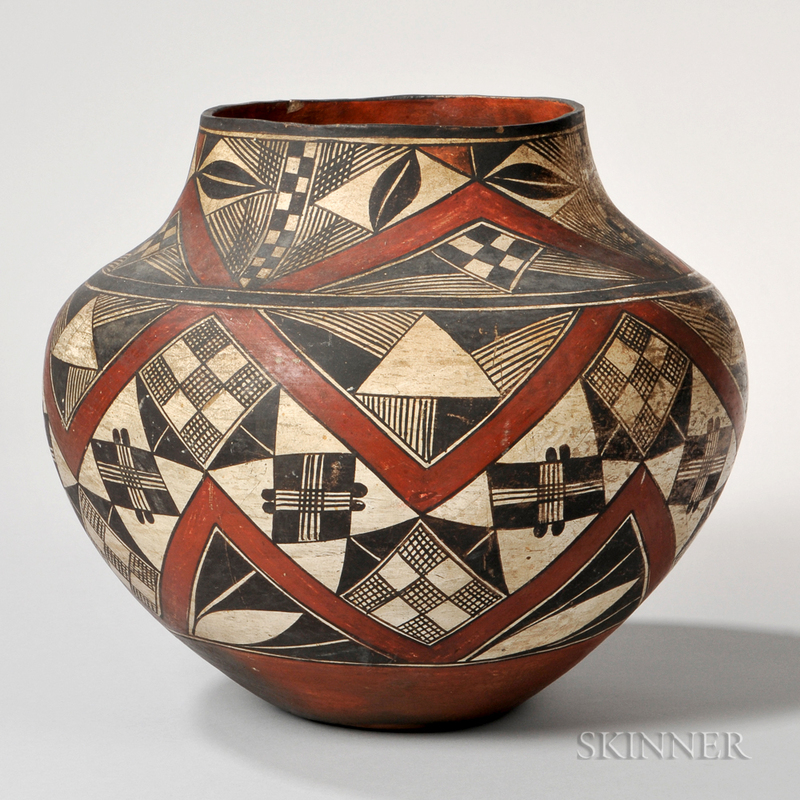 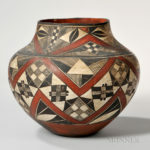 The December auction features material of high quality in all price ranges, to tempt collectors in every category. 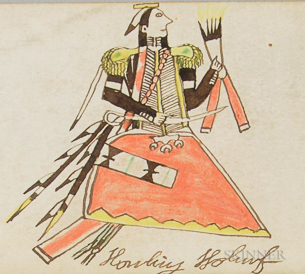 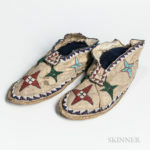 A large section of beadwork includes a pair of moccasins purchased from Apache chief Geronimo in 1897, and the only well-documented knife sheath from the Little Big Horn Battle on June 25th, 1876. 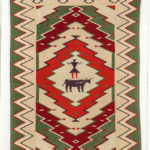 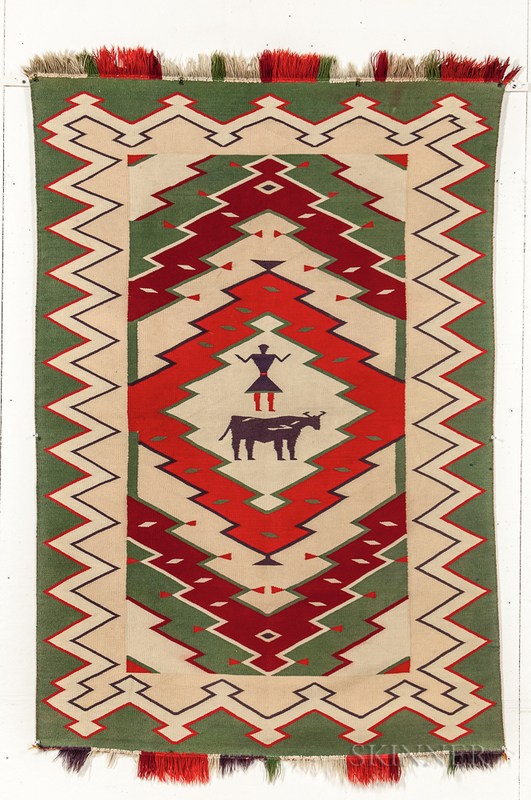 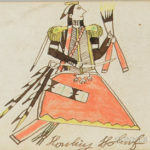 Navajo textiles include a late classic woman’s wearing blanket, A child’s blanket, and Germantown weavings. 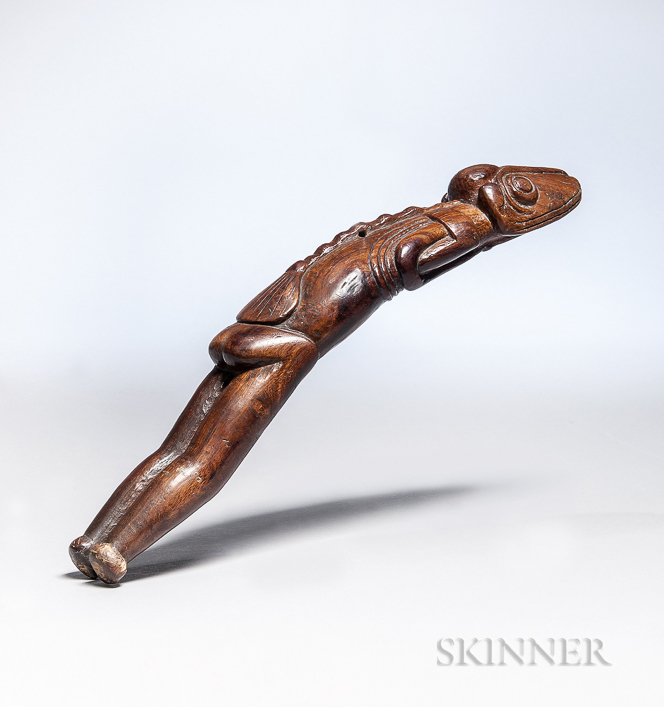 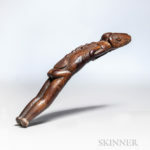 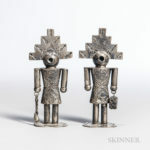 Also on offer are fine examples of African art including a Songye community power figure.